On November 6 the Roundhouse Foyer will be animated with a tribute to those who gave their lives during WWI as part of The World Remembers project leading up to Remembrance Day. Spearheading the project is Roundhouse Society Board Director and Director and Composer in Residence at Mountain View Cemetery, Mark Haney. Mark shared how he came to be involved in the project and his thoughts on why it’s an important part of remembering the fallen. As an artist in residence with the Vancouver Park Board, I had a fieldhouse in Falaise Park—a community space built for WWI veterans. It was there I came across The World Remembers and the project’s mission to display the names of all soldiers who lost their lives during WWI over five years. These names, coming from 16 countries as of 2018, are displayed globally 100 years after each soldier’s death. This year, the display runs from September 12 to November 11 for 11 hours a day, with each name displayed for 10 seconds. After learning about the project, I became involved as part of my role as the Director and Composer in Residence at Mountain View Cemetery. The cemetery hosts a large WWI section developed by the Commonwealth War Graves Commission know as the Jones 45 section. Working in this space prompted me to lead a research-based project to locate the 100 soldiers buried in the Jones 45 section who are part of The World Remembers, thereby connecting Vancouver to this global remembrance. As part of The World Remembers, colouring pamphlets created for Roundhouse children’s groups and Elsie Roy Elementary School students will accompany a video display of the names in the Roundhouse Foyer. 100 versions of the colouring pamphlet were produced, each one paying tribute to a fallen soldier and include: a photo of the soldier’s headstone from the Jones 45 section, their name as presented in The World Remembers, and a few lines about the fallen. As well as receiving colouring pamphlets to include in the display, I’ll speak with interested Elsie Roy classes about the importance of not forgetting, given that those who forget the past are doomed to repeat it—a simple truth that is often ignored in our fast-paced society. Having worked with school groups on Remembrance Day projects before, I know how deeply names and stories connected to war resonate with young people. I hope that children who participate will feel a connection to the soldier on their colouring pamphlet. 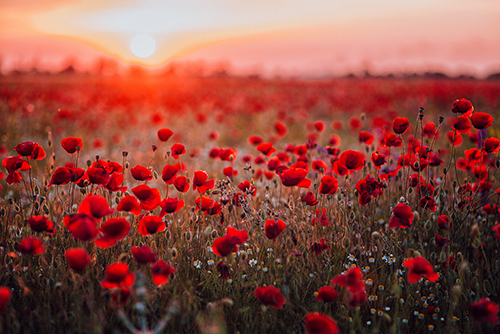 By connecting to and thinking about this history, we honour the spirit of Remembrance Day and all those who have given their lives over the years. The most important part of The World Remembers to me is the way in which it humanizes a global conflict. By displaying over one million names of people who died from 1918-1922, the project recognizes the contributions of brothers and sisters, mothers and fathers, and friends and neighbours, and ensures the sacrifice made by so many does not vanish with the past. The project will extend to Mountain View Cemetery, where 100 brass players will present in the Jones 45 section on November 11 at 11am. Each will stand behind a headstone of the 100 soldiers featured in The World Remembers and will musically represent that soldier. Simple, beautiful chords will echo through the cemetery as the musicians repeat the music 100 times, lasting about 30 minutes in total. Read more about the soldiers featured in this presentation at LittleChamberMusic.com/Centum-Corpora. Colouring pamphlets are available for groups and classes outside of the Roundhouse and Elsie Roy by emailing LittleChamberMusic@gmail.com.